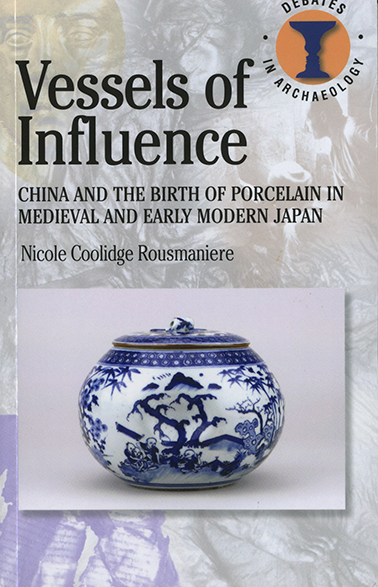 Vessels of Influence, while examining in depth the role of Chinese ceramics in Japan, also delves into the meaning, motivation for, and rapid development of Japanese porcelain from many angles, including archaeology, heirloom and documentary evidence. The political and fiscal advantage that one lord found for his domain in creating its own local ‘china’ is placed in the context of the domestic and international market economy. Through an examination of the role of Chinese products and that of a domesticated ‘china’ in Japan, a fuller picture of Japan’s rich material culture emerges, revealing complex interactions between government, taste-makers, traders, merchants, consumers, imports and new technology. 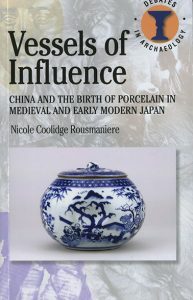 Vessels of Influence also discusses how these interactions have been viewed by historians, and the often heated debates that have occurred as a result. *The book will be available on the day at the special price of £13.50. 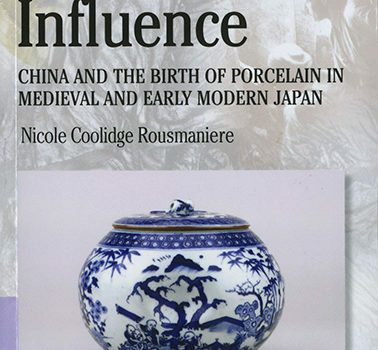 Nicole Coolidge Rousmaniere is Professor of Japanese Art and Culture at the University of East Anglia and Research Director at the Sainsbury Institute for the Study of Japanese Arts and Cultures. She is currently seconded to the British Museum as a curator in the Department of Asia working on its extensive ceramic collection. Her research interests include medieval to contemporary ceramic history in East Asian trade networks, the history of Japanese archaeology, the collecting of Japanese artefacts and art objects in Asia and in Europe, contemporary Japanese craft expression and manga.